Need inspiration for your company’s April content marketing? Write about baseball, filmmaking, holidays, or springtime activities and shopping. Content marketing is the act of creating, publishing, and distributing articles, videos, podcasts, and even graphics with the aim of attracting, engaging, and retaining an audience of customers and potential customers. It is marketing based on reciprocity. When a business provides something of value for free — such as useful, informational, or entertaining content — the audience feels a sense of obligation and may be more likely to purchase. 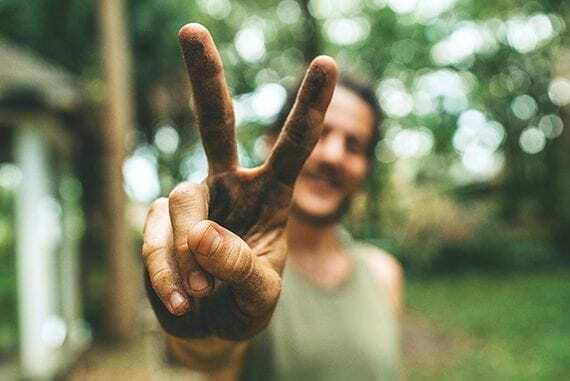 When done well, content marketing can impact everything from search engine optimization to sales conversions, which is why it can be so valuable. 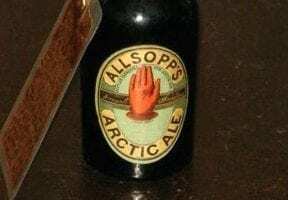 What follows are five content marketing ideas for April 2018. Although opening day is March 29 this year, Major League Baseball traditionally gets going in April. It’s a month packed full of early season games and a sense of baseball nostalgia. Major League Baseball, which is the oldest of the four major professional sports associations in the United States, has millions of fans across many, if not most, demographic groups, creating the opportunity for marketers serving many different industry segments to connect with potential customers through baseball-oriented content. Content marketers will have no shortage of baseball-inspired topics. 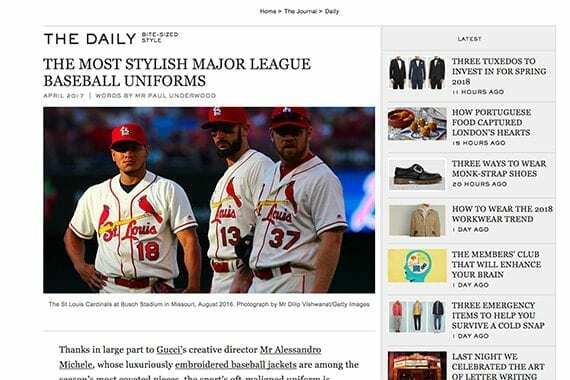 For example, in April 2017, men’s clothing retailer Mr. Porter published “The Most Stylish Major League Baseball Uniforms.” Could anything be more appropriate than a fashion retailer writing about fashion and connecting with baseball fans at the same time? Mr. Porter’s article connects baseball with the industry segment the company serves, fashion. Similarly, Scott’s, which manufactures and sells fertilizer and herbicides, has published a guide to giving your lawn a “big league look.” This simple post may not be high literature, but it is another example of how marketers might connect the products they sell and the audience they serve with baseball content this April. The 17th annual Tribeca Film Festival runs April 18 to 29, 2018. The TFF is one of the largest and best-recognized events of its kind in the United States. The festival accepts submissions in six categories, including short films, Tribeca TV, and feature films. It is a gathering place for movie and television industry icons. In April, let the TFF inspire your business’s content marketing. Develop articles, videos, and even podcasts that connect film with the industry segment your industry serves. 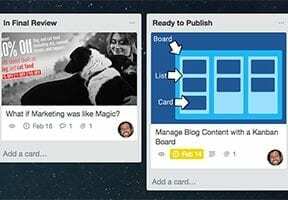 Here are a few examples of the sorts of content retailers might create. An online auto parts store could publish a list of the most famous cars in film or television. An Etsy store selling t-shirts could create a video describing some of television’s best shirt designs (think Jayne’s dead fish shirt from Firefly, the drama series). An outdoor outfitter might compose an article about the most often filmed national parks. Many of your company’s customers in North America just spent several winter months mostly indoor. When they were outside, they were trudging through snow. April’s warmer weather will have those folks itching to get outside again. Satisfy them and publish spring to-do lists. Your spring to-do list could be (a) a step-by-step guide to joining a local softball league, (b) an automotive service log, or (c) a springtime garden checklist. As with all of the content your business produces, make your list useful, informative, or entertaining. Does your business sell home and garden products? Try publishing a spring to-do list that will get your customers back outside. Photo: Eddie Kopp. Spring activity requires tools and gear, so don’t be afraid to publish a spring shopping guide too. Take cues from venerable publications such as Consumer Reports or sites such as PCmag and provide your audience with authentic product advice and reviews. Help those who read your shopping guide make good choices. Your shopping guides should help shoppers discover the best products for them. 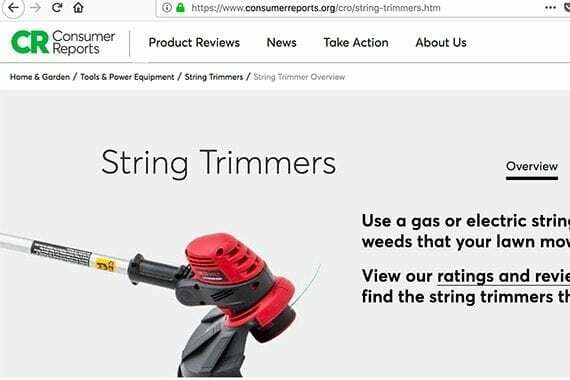 As an example, imagine a retailer that sells string trimmers. This retailer won’t want to push every shopper to the biggest, most powerful, and most expensive trimmer on the market. Instead, the retailer should help shoppers discover the best choice for their yards. Does the shopper need an electric trimmer or a gas-powered one? If they want electric, will a corded model work? What is the best shape of the bar: straight or curved? How is the line added? How much does the trimmer weigh? Do your best to anticipate and answer customer questions in your shopping guide. 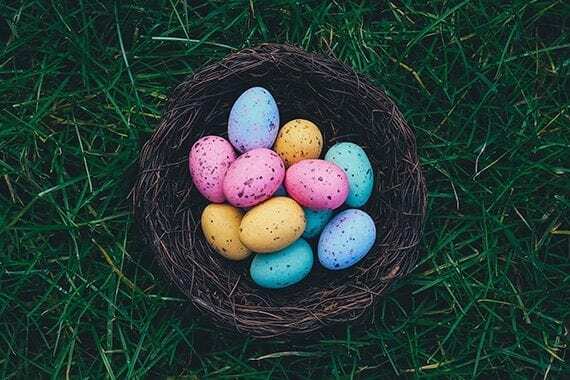 From Easter Sunday on April 1, 2018, to Arbor Day on the 5th or Earth Day on the 22nd, April includes dozens of holidays and observances to fuel your content marketing. Easter is one of the April holidays that can inspire your business’s content marketing. Photo: Annie Spratt. A round-up of Easter fashion changes over the years. International Jazz Day (April 30).